The New York City Parks department provides an historical overview of community gardening and farm gardens in New York City, from the first farm garden created by Mrs. Henry G. Parsons at De Witt Clinton Park in Manhattan in 1902 to the movements that created and challenged gardening programs in New York City ever since. It has a small number of historical photographs and descriptions of various movements throughout the City’s history. It, unfortunately, does not include citations, which would have been helpful since the city holds a wealth of information about these programs in its Municipal Archives and the Parks Department Library. 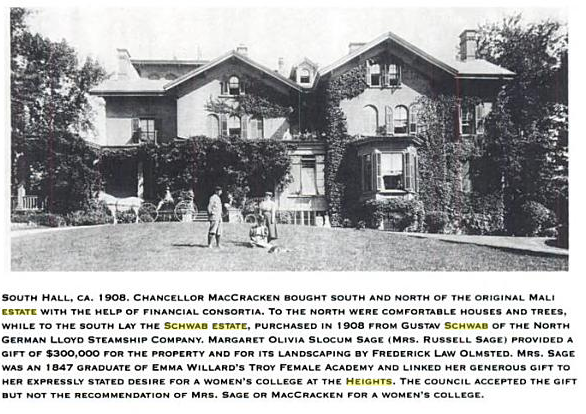 Frances (Fannie) Griscom Parsons oversaw the development of the farm garden at De Witt Clinton Park, located on the West Side of Manhattan at West 52nd to 54th Street between 10th and 11th avenue, from 1901 to its completion in 1906. She went on to become one of the City’s first senior–level park administrators, in addition to serving on her local school board. Her father, John Hoskins Griscom was the first tenement house reformer in the city and her grandfather John Griscom established the first city high school and first institution for juvenile delinquents. The original design by Samuel Parsons Jr. (no relation to Mrs Fannie Parsons) was to be larger and less developed, however, the plans were altered by the construction of the New York Passenger Ship Terminal on its west side and subsequently by the development of the West Side Highway in 1932. Today this park is dominated by ball fields and basketball courts, but at the time hosted 360 garden plots on ¾ of an acre of the park space. By 1932, the gardens closed to make way for construction of the West Side Highway. Early maps of the property may indicate the full boundaries as of 1902. The article notes that the farmers had been invited to present their work to visitors, including beans and turnips. A wagonette brought “successive loads of children to the garden for a practical lesson in nature study.” In all 180 children from the Crippled Children’s school and 205 from public schools utilized the farm garden at De Witt Clinton Park. At this point the gardens were a demonstration project, as the land for the park would not be leveled until the following year. One of the promotional ideas was the thought that allowing a park would reduce vandalism and loafing. Complaints that such parks draw “loafers and bums” were noted in the article, and one gentleman, who had attended a tent meeting the prior Sunday, said that “…if it were a park of the normal description, like Bryant Park, which was mentioned as an example, that their daughters should never go into it.” Mrs. Parsons was quoted on the day of the demonstration saying, “Do you see our fence? Not a knifemark on it. Not so much as a name written on it? Doesn’t that show a good influence from this garden?” Bryant Park in fact did host a farm garden for a short period afterwards, but it was not as successful. Similar school gardens and gardens for infirm children soon followed, including a garden for children suffering from tuberculosis at Bellevue Hospital. By 1908, farm gardening was part of the NYC school curriculum, spreading to 80 locations citywide. Children’s Farm Gardens continued to flourish into the 1950s when Parks Commissioner Robert Moses championed further expansion as a means for teaching children to grow plants of “economic interest” such as cotton, wheat, flax and corn. The Parks Department website links to a school and youth garden resource, containing a long list of websites and journal articles related to school and youth gardens. Robert Moses’ played a curious role in community and farm gardening in NYC. The Parks Department website notes that he had been promoting gardening in schools when he was Parks Commissioner in the 1950s, ironically, while leading the development of highways that drastically reshaped or destroyed many local neighborhoods, including an expanse of the West Side Highway, which destroyed the original farm garden at De Witt Clinton Park in 1932. Good Robert Moses biographies include Robert Caro’s, The Power Broker, Anthony Flint’s Wrestling with Moses, and Robert Moses and the Modern City edited by Hilary Ballon and Kenneth T. Jackson. Ballon, H. & K.T. Jackson. (2007). Robert Moses and the Modern City: the transformation of New York. New York : W.W. Norton & Co.
Caro, R. (1974). The power broker: Robert Moses and the fall of New York. New York: Knopf. Flint, A.. (2009). Wrestling with Moses: how Jane Jacobs took on New York’s master builder and transformed the American city. New York: Random House. Frusciano, T. J. (1997). New York University and the City: An Illustrated History. New York: New York University.